Blythe Duff Visits UWS Ayr for Infinite Scotland Project. 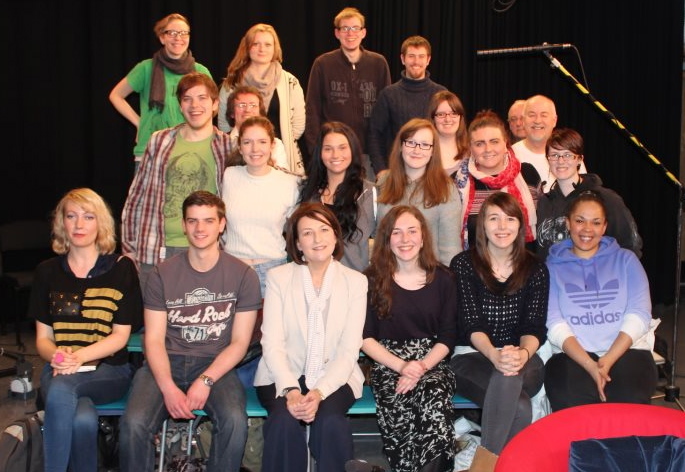 Scottish actress Blythe Duff recently visited Contemporary Screen Acting students at the University of the West of Scotland (UWS) and took part in the ongoing StudioLab collaboration project. Blythe was visiting the studios to record excerpts of Scottish Poetry which will soon be seen on the Infinite Scotland website. Blythe then followed her recording session with a Question and Answer session chaired by UWS Student Natalie Smith, where she answered student queries on the subject of contemporary screen acting. The entire process was recorded by UWS students and will be edited by the UWS technical team of Jamie Hare and Keith Bird and placed online soon. 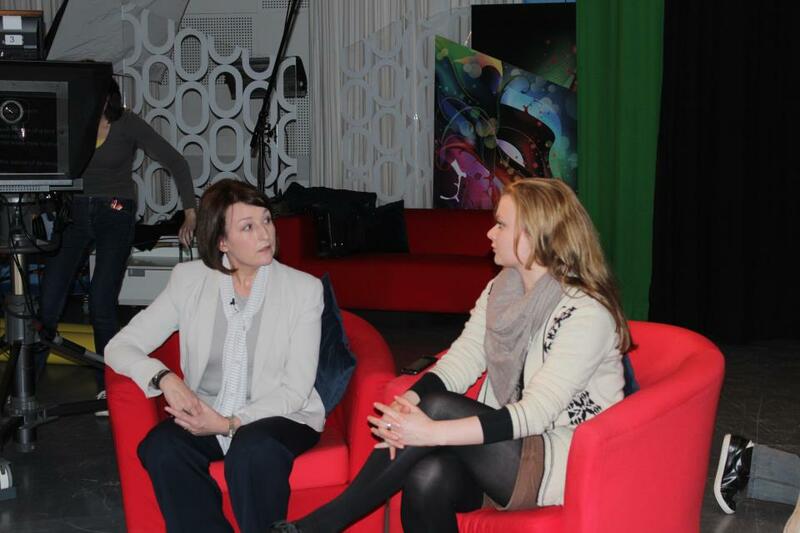 Blythe Duff with UWS Filmmaking student Elsi Vehkaniemi. The University’s BA (Hons) Performance, BA (Hons) Contemporary Screen Acting and BA (Hons) Musical Theatre programmes were among the first in the UK to achieve Drama UK Recognition – a New Level of Quality Assurance for Drama Training Providers. This recognition offers students and their future employers assurance that a course with this award has been through a rigorous assessment including a visit from a panel of industry experts to ensure that it delivers what it promises and provides a real benefit to the industry. Tutors at UWS are committed to giving students an authentic experience of the contemporary creative industries practice, and structured workshops and visits by practitioners such as Blythe Duff are an essential part of that process. For more information on Contemporaray Screen Acting at UWS, please click here.